I'm aware that tag excerpts are generally not formatted and this well-recieved meta post even tries to make a case for banning hyperlinks in tag excerpts, but I do think it's rather useful to be able to put links anyways. 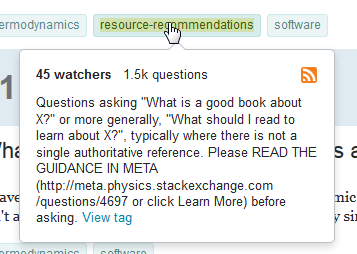 On Physics at least, we have a few tags which have links to meta posts for guidance regarding certain kinds of questions. I'm on Chrome 71.0.3578.98 for Windows 10; I could reproduce this on Edge and Vivaldi too. 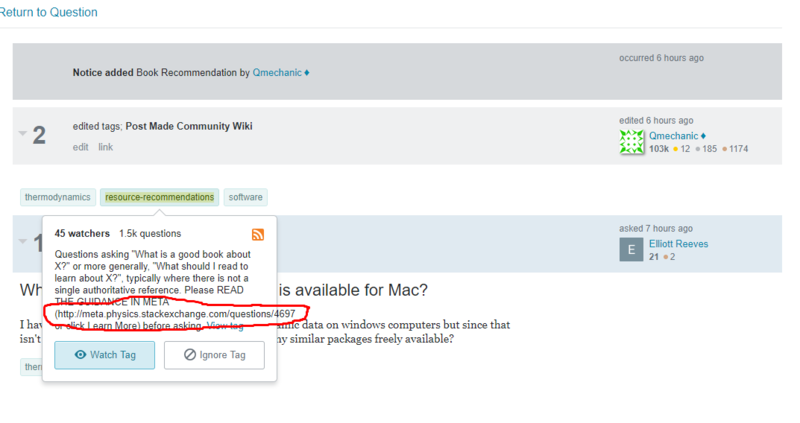 Browse other questions tagged bug design tag-wiki-excerpt popups . Should moderator diamonds be inside or outside the highlight box?